Businesses can use Vembu VMBackup to backup their virtual workloads running on VMware & Hyper-V with the help of enterprise-level features like Agentless Backup and Replication, Assured RPO & RTO of 15 mins, Instant VM recovery, File-level recovery along with Offsite & Cloud Disaster recovery. 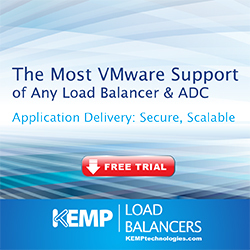 There are 3 different editions of Vembu VMBackup available – Free, Standard and Enterprise. For businesses having up to 6 sockets or 50 VMS, Vembu BDR Essentials with has all the features of the Vembu BDR Suite but at 50% the price. Vembu ImageBackup is used to protect the Windows Servers and Workstations. For Windows environment protection, features like Image-level backup, Bare Metal Recovery, Assured RPO & RTO of 15 mins, Instant VM recovery, File-level recovery along with Offsite & Cloud Disaster recovery are available in the BDR Suite. Further, the backup for all the Windows Desktops/Laptops is totally free. Users can also choose the Native tape support as the secondary backup. Vembu provides real-time protection for the Files/Folders/MS-Apps in various environments like Windows, Linux, and Mac machines. Businesses can protect the data on file servers, application servers and Endpoints with the help of Vembu network backup and OnlineBackup. Vembu NetworkBackup lets the businesses to backup and stores the data in local premises along with Offsite & Cloud Disaster recovery options. Vembu offers secure cloud backup solution to protect the Office 365 and G Suite business data. Vembu SaaSBackup can backup Mails, Calendars, Contacts, and Drives from Office 365 & G suite. The data is stored on the Vembu Cloud. Vembu BDR360 provides end-to-end visibility that allows the user to keep track of all the backup jobs configured using the Vembu BDR Suite. The Free Edition of Vembu BDR Suite supports backup of unlimited number virtual machines running on VMware and Hyper-V, and physical machines with Windows, Linux, and Mac Operating Systems. This edition is designed specifically for Small and Medium businesses who are looking for a free backup plan with advanced features.